I am trying to claim my Muse into the https://wallet.muse.help. I have imported my keys but when I get to the Claim Balances screen it say there are xxxx unclaimed Muse. If I check the box and try to claim them the Claim Balance button is dimmed. Any suggestions on how to proceed? Never mind. 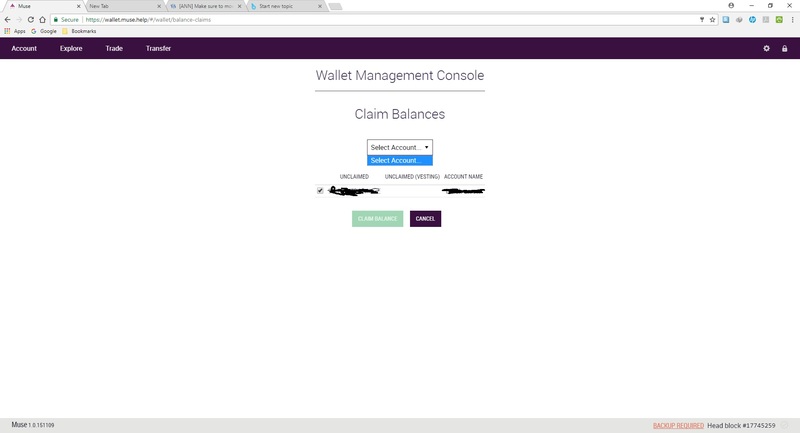 When I came back a few hours later the Claim balance button had been enabled. Or is it too much money?